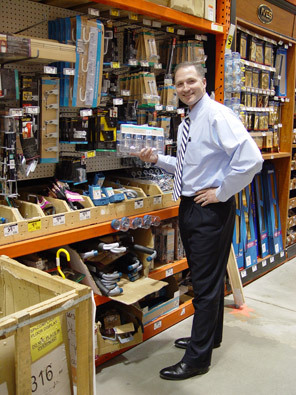 Organizing and storing the various parts and accessories in a work station can be a difficult task, particularly regarding small items, such as nuts, bolts and screws. Taking a cue from grandpa’s use of old baby jars to hold nuts and bolts, Davison’s team of designers created a small jar that has a magnetic lid and can hold up to a pound of nuts, bolts, screws and various other small workshop items. 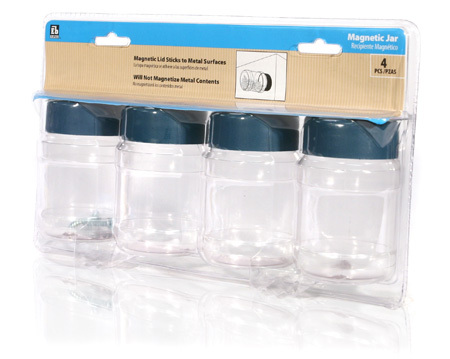 The powerful one-way magnet embedded in the jar lid makes it easy to attach the set of four jars to metal cabinetry and other metal objects.